Alloy 330 flanges are specifically designed for high temperature furnace applications such as vacuum furnaces, heat treating and brazing applications. The most prized trait of alloy 330 is its ability perform under cyclic conditions of temperature extremes from heating and cooling; as well as in alternate carburizing and oxidizing atmospheres. An austenitic nickel-chromium-iron-silicon alloy, 330 flanges also offer industry a low coefficient of expansion, excellent ductility, and high strength. Alloy 330 flanges are often used in furnaces, thermal processing and heat treating applications. Gas turbine components and boiler fixtures used in power generation often use Alloy 330 flanges. Because of its resistance to nitrogen rich environments, alloy 330 flanges are used extensively for components handling cracked ammonia. Alloy 330 (UNS N08330) is best known for its extreme high temperature strength and stability. 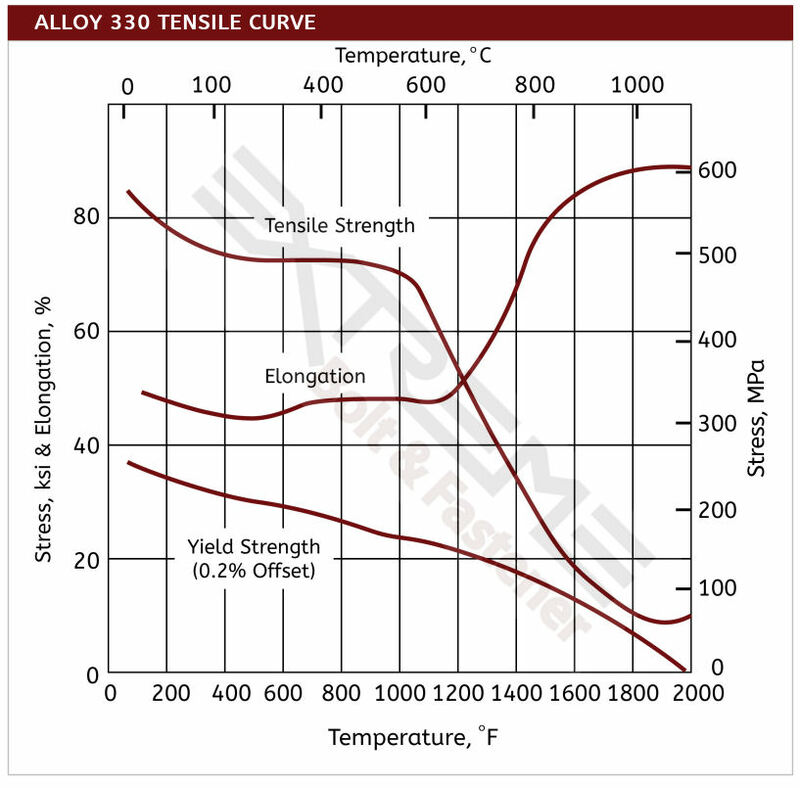 One of the most unique attributes of Alloy 330 is its ability to handle cyclic temperature changes from extreme high temperatures to cooling phases, as well as in oxidation-rich environements.